These last few guides just don't cut it. A few chuckles at best, these podcasts just don't generate a single belly laugh. I'm disappointed. It bothers me because I have followed Ricky since The Office Season 1. 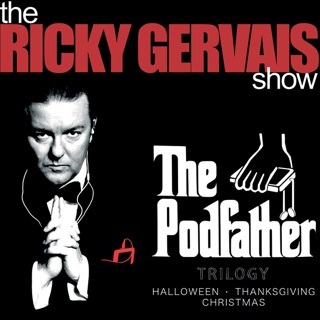 Ricky's done some great work...The Office (possibly the greatest TV series ever made), Extras (groundbreaking, original, genius), his original podcasts (record breaking), but the last 2 guides left me feeling sorry for him. Ricky resorts to insults and swearing to try for the laughs. If #4 & #5 were Ricky's first efforts, I doubt he would have a following at all. Aside - I've been listening to the Adam Carolla podcast...4-5 times a week, free, much funnier than these guides, and each episode is longer than these guides. Nothing like the office but far better than these guides. The only thing I had trouble with was the part about depression and prozac -- it hit too close to home -- so perhaps I am like Karl more than I thought... I view the humor in terms of how it relates to me (I don't mind when they make jokes involving other groups of people...)... Anyway, I highly recommend (in fact I think it is a good antidote to depression) and only hope that we will have another installment soon. God I Love These Guys!!! St. George - the Rent-A-Kill.... Brilliant!!!! Karl you are amazing and totally right - PETA would have been all over George for killing the last dragon - protesting and throwing red paint on his dragon skin shoes!! !